April | 2013 | We Can't Hear the Mime! I’ve spent my life hearing trivia and quotes from this epic film and so I thought it high time that I formed an opinion. Firstly what struck me was how quickly the time passed. I never once felt bored in the whole of this film’s runtime. I feel like this is an art lost to modern Hollywood, the ability to engage an audience consistently. Even earlier this year I found myself wondering whether Zero Dark Thirty really needed to take so much time yet I happily sat riveted to my seat during the whole of this, Giant and Lawrence of Arabia – and I could happily do so all over again. What makes this film so appealing is its faith to life. While it covers a huge amount of history, social and political upheaval, I believe that despite all this it remains a human story. Life has not stopped because of the war, if anything the war is merely an inconvenience to life; babies are born, lovers leave each other and friends disappoint. These are the staples of every great tragedy and Gone with the Wind has these in spades. I found it poignant watching this film with history on my side. For a film produced in 1939 it is somewhat eerie to have such a strong message against war and the senseless waste of human life – a waste that would once more ravish the planet in the years to come. 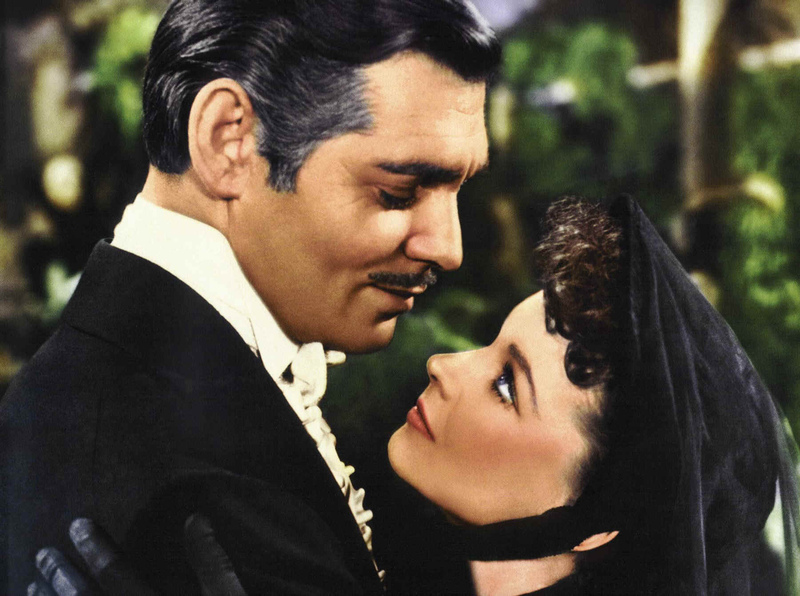 One can only imagine how many lives like those of Scarlett, Rhett and Melanie were ripped apart so soon after audiences so lamented for these characters. The film itself is no mean feat, containing some of the most developed and believable characters ever committed to celluloid. Perhaps its greatest achievement is creating such a boundless supply of empathy for our heroine, Scarlett O’ Hara. By all accounts a thoroughly dishonest and mean woman, she manipulates men to her advantage with no regard to their feelings or those of the women she calls sisters yet the films lens is forgiving, she is a wounded animal, fighting in the only way she can, rather than a selfish and self-indulgent social climber. The script is gloriously light in places, kindly mocking the very people it raises to the level of “true Americans” but never losing intensity where it is needed. The repartee between Scarlett and Rhett never falters. Even when they fight it is with an ultimate understanding of one another, a bond that is accepted, rather than understood by either party. I was asked recently whether a story loses its meaning once its history is long past and society has healed. I believe that Gone With the Wind proves this untrue. In a world still torn by war and divided on too many counts to name it is still all-important to not miss out on what life is truly offering you. Even if you do not understand why it is being offered. This entry was posted in Film Reviews, Gold Screen and tagged Clark Gable, Classic Film, Film Review, Gone WIth the Wind, Margaret Mitchell, Victor Fleming, Vivien Leigh on April 30, 2013 by Flo. Now I want to just make something clear here. I LOVE Disney films. I grew up with them. I watched them so often as a kid that there was at one point a ban on the Tarzan VHS because I wouldn’t stop watching it. I would also be willing to bet a lot of money that (as a kid born square in the middle of the Disney Renaissance) the first film I ever watched was a Disney film. I also consider a few of them to be truly great films. I probably owe a lot of why I still watch films to those brightly coloured loveable films. However I have realised recently that Disney has not produced an animated film that I thought had genuine merit since Treasure Planet. That was in 2002. (I’m not counting Pixar films here, they work under different creatives) How is it that the pioneers of animation have not made a good animated film in over 10 years? 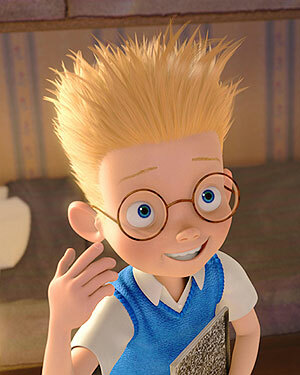 And here is the closest comparison in a Pixar film. The Pixar character is clearly superior, the hair is more natural, the skin is shaded better and the character is all in all more attractive. 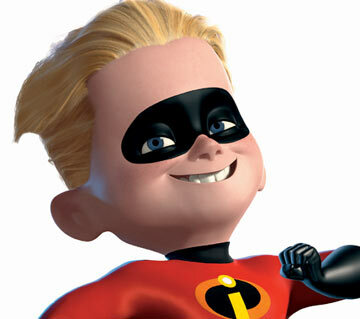 The Incredibles was released three years before Meet the Robinsons. Until Pixar and Disney merged, Disney simply did not have the technology to keep up with 3D animation. But why was it trying to? It’s very fashionable to talk about how traditional animation is dead. However this is a lie. 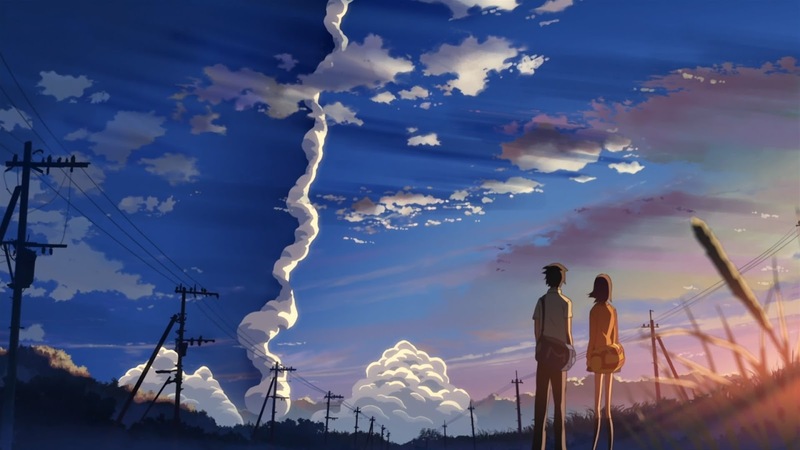 2D animation is thriving, even Disney’s Paperman proved this! Yet in feature films Disney has not touched upon pure hand-drawn animation since The Princess and the Frog. In fact they just earlier this month laid off nine of their top 2D animators. Sadly I think this means that Disney has had its heyday as an animation studio. While this marks the end of an era which influenced a great number of films and left a huge mark on popular culture the demise of Disney allows for a much wider variety of animation to make it into the public eye. In the interests of the future of animation I want to recommend to you my top 5 animated films of the past ten years. What do you think? 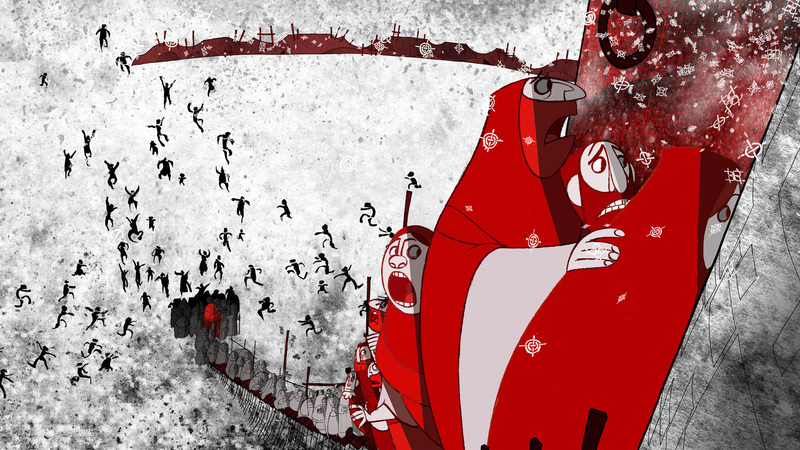 Is 2D animation dead? 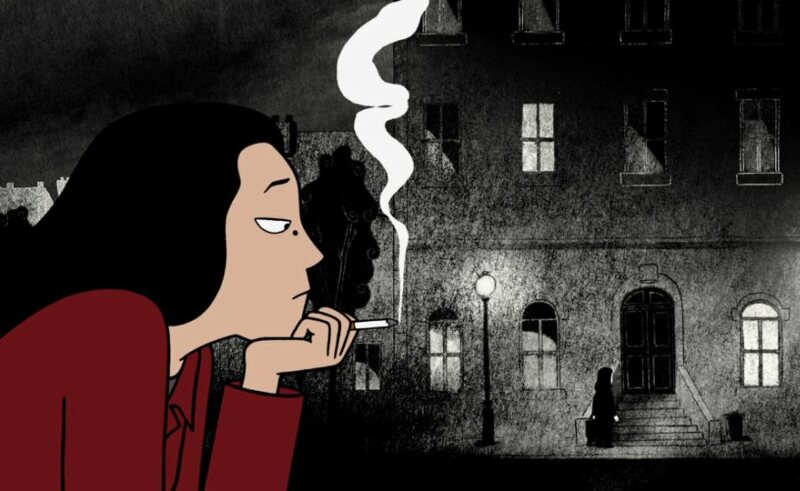 What hidden gems of animation are just waiting to be discovered? 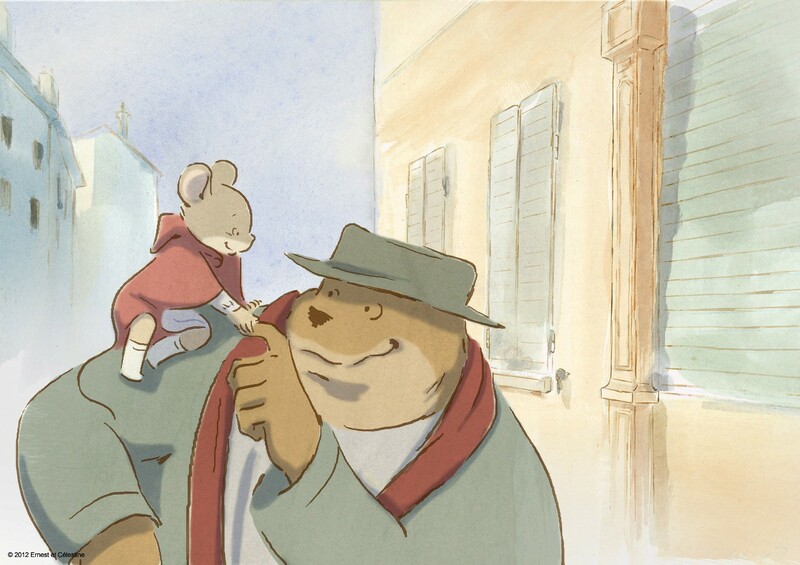 This entry was posted in Screen 8 and tagged Animation, Disney, Ernest et Celestine, Illusioniste, John Lasseter, Persepolis, Secret of Kelis, Walt Disney on April 23, 2013 by Flo. A portrait of the darkness brought on by a pretence of light. Five girls live in a small Michigan town in a middle-class Christian family. From the opening titles you can predict the cynical tone of the film. A tree is rotting. It must be taken down before the poison spreads. In a way, this is all the film is. The story of a cruelly imposed natural selection. That which is broken, poisoned, too twisted by external influences must fall away and die. However what is more unsettling is the idea of this film as a portrait of femininity. The girls are seen as ethereal, beautiful creatures even in their most depraved moments. The teenage boys who find them admit that they cannot possibly understand. It is this refusal to comprehend their struggles, the fact that they even have struggles, that they are not untouchable angels ultimately leads them to their deaths. The performances from all five girls are extraordinary. You see the life slowly fade from their beings long before it leaves their body. The script rarely allows the sisters to interact with one another and so slowly even the audience begins to see the girls in terms of silent wisps rather than real humans with thoughts and emotions. The cinematography reinforces this disturbing gracefulness. Everything is white and pure, often oppressively so, whenever the girls are in shot. Without them the film is sedated and dark, a tragically ironic artistic decision. Kirsten Dunst as Lux is enthralling. Only she seems immune to the silence and naivety taking over her sisters. Yet this leads you to wonder whether she was the root of all this, had she not been so markedly different would any of them have suffered? We do not know, the film allows us to question this as if it were real life. We are equal to the characters on screen, watching the tragedy, powerless to understand or end it. This entry was posted in Film Reviews and tagged Film Review, Hanna Hall, Kirsten Dunst, Sofia Coppola, The Virgin Suicides on April 20, 2013 by Flo. The autobiographical sequel of Le Gloire de Mon Pere, and an all-round much more successful film. It almost feels counter-intuitive to call this film a sequel. The story begins exactly where the last one ended and continues Marcel’s discovery of the flaws of the adult world. Yet the films are so radically different. In Le Chateau de ma Mere our storyteller becomes more and more mature. As such the narrative style of the film is less obtrusive as it goes on. 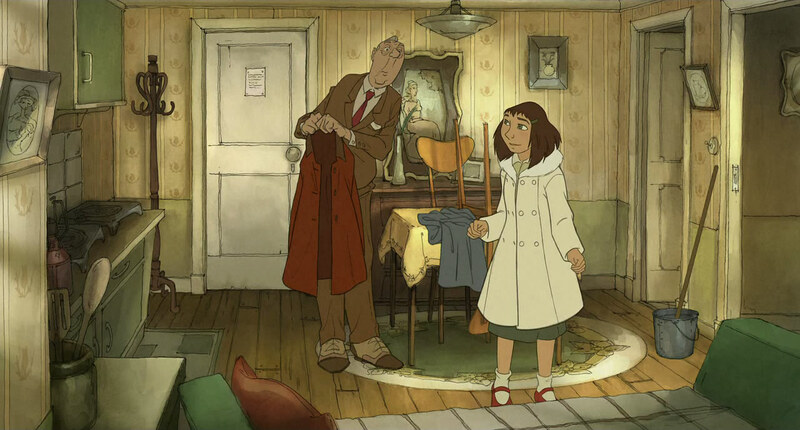 As Marcel the child discovers subtlety, so does the film. In this way, perhaps Le Gloire de Mon Pere is consciously deliberate, yet, if this cannot be understood from the first film alone can it truly redeem it? Regardless, Le Chateau de ma Mere, is in a strangely Freudian way a sexual awakening for the narrator. After a brief flirtation with a rich, obnoxious girl living in the same hills as him Marcel returns, Oedipus-like to the clasp of his mother’s hands. Yves Robert does not miss a beat in his directorial approach here, the role of the mother, almost irrelevant in the first film is here all-encompassing. She is weak and in need of the role of protector that Marcel becomes. She holds red roses to her rosy lips and cheeks. In fact one of the first shots of her in the film shows her breastfeeding, a ritual Marcel is all too fascinated by. All this is somewhat disturbing as a comment on male adolescence, but beautifully executed nonetheless. However the real beauty in this film lies in its ending. After two whole films full of the bright colours of childhood, we see the reality that has forced Marcel into storytelling. The life described after these summers is bleak and lifeless. The colour drains from the screen, the expression from the voices and the hope from the world. A heartwarming tale of growing up becomes the tragedy that every one of us experiences when looking back on childhood. There comes a point at which the world will never be as perfect and brightly-coloured as you once imagined it was. This entry was posted in European Screen, Film Reviews and tagged Film Review, french cinema, Le château de ma mère, Marcel Pagnol, Yves Robert on April 15, 2013 by Flo. This morning I sat down to write a review of this film. It is currently no longer morning and the review is barely underway. The reason for this is that as I sat down to express my thoughts on this charming French coming of age story I realised that I had nothing to say. Yes, the film is heartwarming, yes it shows a fascinating picture of family life, and for that matter rural French life. Yet somehow it did not capture my imagination at all. For a film that I have now seen twice, I find this extraordinary. My first theory for this was that I am essentially unsuited to watch such a film. 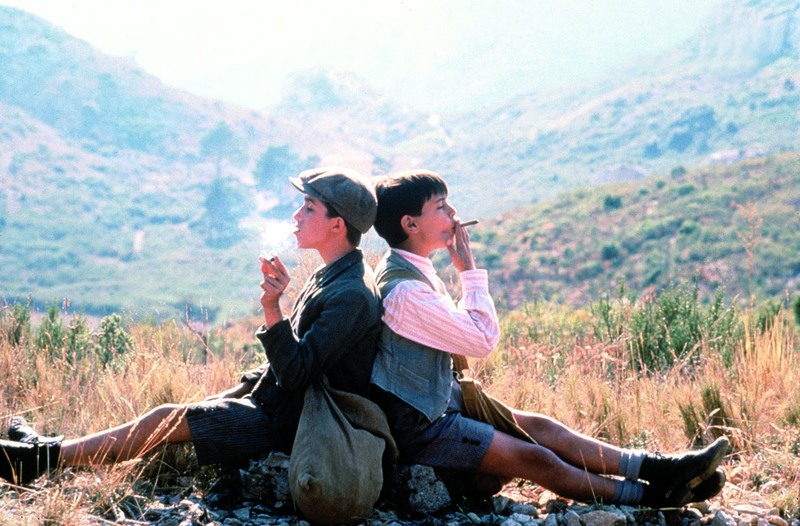 The film is an exploration of growing up as a young boy in southern France in the early 1900’s. As can be expected, I have no common frame of reference here. However this has never stopped me from watching a myriad of other films. No, I think there is a deeper reason as to why I did not get on with Le Gloire de Mon Pere. Namely, the narration. I find it odd when a film feels that it cannot aptly express itself without the need for a voiceover. After all, the first thirty years or so of cinema managed this with absolutely no words spoken at all. It seems therefore, a step backwards for a visual medium, even one based on a book, to rely so heavily on words. Le Gloire de Mon Pere overuses this terribly, points have been made through striking visual images but are unnecessarily hammered home by the narration. Additionally I think that it takes away from the performance of Julien Ciamaca as the child protagonist. 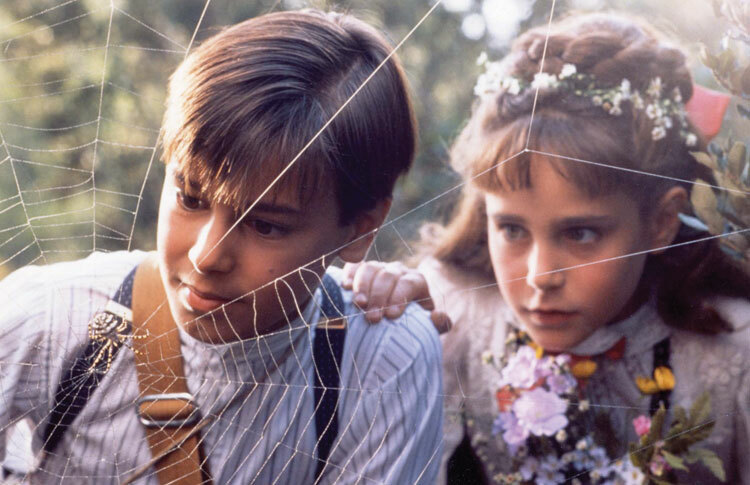 His portrayal of Marcel as a slightly precocious, but well-meaning child is sensitive and measured but when accompanied by a voice explaining his every facial expression begins to feel forced and comically exaggerated. In places, the film is inspired. The park scenes, which look like a Seurat painting come to life and the swelling pastoral score set the scene perfectly. Yet there are places where the adaptation is painfully lacking in filmic language. On more than one occasion a short exchange of dialogue is describe through narration while both characters are in fact on screen in silence. I find this approach so utterly bizarre that it negates much of what the film has in it’s favour, the score, the cinematography, even many other parts of the script. Least of all the performances of the three child leads, who all conjure a graceful and natural image of childhood that is instantly recognisable. This entry was posted in European Screen, Film Reviews and tagged Film Review, french cinema, Le Gloire de Mon Pere, Marcel Pagnol, Yves Robert on April 15, 2013 by Flo. I am now halfway thorugh Francois Ozon’s body of work and I still have no idea what to expect from the next film I watch. Angel is an odd film, featuring one of the most annoying protagonists the world has ever known. Angel (Romola Garai)) is obnoxious, precocious and downright rude, yet somehow becomes a character with whom you can empathise. An impressive feat of performance from any actress. The film does seem to be full of such contrasts. Angel’s world is so strikingly different from the one she actually lives in. Her persistence in maintaining these extravagancies, her outrageous clothing, her expensive mansion and her trophy husband makes her totally at odds with the world. In the film this represents itself in colour, while the world at large is drab and gray angel’s mere presence in a shot brings vivid, oversaturated colours. It is somewhat tragic that the man she loves cannot see the colours of her world even when surrounded by them. In fact Angel’s whole life seems to be a tragedy of a lonely girl lost in her own world. The film could have played up to this perfectly, particularly given the final reveal of her fate, a wonderful scene, played as the tragedy it is. However the film doesn’t ever rest for long in one place. There are moments where the whole piece seems to be a satire of celebrity or a pastiche of old Hollywood movies. But these are all passing moments, nothing remains constant and so the film finishes up feeling lost, stuck between genres and ideas. Forever doomed to not really say anything about anything at all. The effect is overwhelming but leaves no lasting impression. You are simply confronted by a screen full of colours and ideas but they are all so incompletely formed that you cannot grasp hold of a point, it doesn’t hold together. It seems such a waste for a film that could have said so much. This entry was posted in European Screen, Film Reviews and tagged Angel, Film Review, Francois Ozon, Michael Fassbender, Romola Garai on April 15, 2013 by Flo. The script is, as expected, somewhat crass. Relying mainly on tropes and character stereotypes for humour while some slightly spooky music warns of “the evil people”. Furthermore the film feels the need to slip occasionally into a musical montage. These are points at which no one ought to be dancing or singing – yet somehow there is a song going on. These trips to planet bizarre don’t last too long however. Mercifully this was still the age when a pop song lasted two and a half minutes rather than four. The acting performances vary somewhat. Admittedly it must be difficult to come across as an engaging human when the script has reduced your personality to a few archetypical pointers. Yet some manage better than others. Jo and Jon seem to be the most human, whereas Tina and Bradley are more believable as empty clones than as themselves. Some people, I conclude, simply are not made for the acting world. It is no coincidence that the only member of this band that I’ve ever heard of working post S-Club, Hannah Spearrit, does a very convincing performance as both herself and her clone with enough differentiation between the two that you can always tell which is which. But credit where credit is due, the song and dance numbers are genuinely creatively choreographed and well-edited. While two of the songs are in fact elaborate prison breaks which work entirely by disracting the guards… (coincidentally all the inmates of these prsions are very good dancers, I can’t believe they were so lucky in the prisoners they found) But then, they’re a band. They’re supposed to be good at dancing in time with each other and smiling at a camera. And they are, they really really are. This entry was posted in Cutting-Room Floor, Film Reviews and tagged entertainment, Film Review, hannah spearrit, S-Club on April 11, 2013 by Flo.